Well if you are reading this you anyway know what is recommendation but basically its giving a suggestion to the user based on certain Parameters like in Amazon , on buying books it gives you suggestion , in IMDB on checking any movie, it gives you recommended movies etc. Now lets think how is that possible? Answer - its Science or I must say Mathematics. Now if somebody likes the same, can we recommend the same user any superhit comedy movie ... aah Naah... Not possible , so naturally we would like to recommend next best movie under Genre Crime or Drama or Thriller. Hold on!... As a human I can search and find but hows is that possible using computing languages. So now we got a point and I'd like to push you all in past , schooling days. 'Euclidean Distance or Manhattan Distance' ..
Are those words seems to be familier to you .. well at first sight it may be like "What d hell this guy is talking about" or what ... why should I know mathematics here. The distance between two points in a grid based on a strictly horizontal and/or vertical path (that is, along the grid lines), as opposed to the diagonal or "as the crow flies" distance. The Manhattan distance is the simple sum of the horizontal and vertical components, whereas the diagonal distance might be computed by applying the Pythagorean theorem. For more details , Google and know the actual concept behind them. That's important. I used R for do quick analytics on my data and used python to write the main algorithm behind it. If I have a collection of movies , then I can extract details about each of the movies like user ratings , reviews , Genre and all other things easily and if that is possible then I can use any distance algorithm like euclidean to find the similarity between any 2 movies. Now I will pick the movies in each of my friends' list from facebook and then will compare the same with the list of unwatched movies and sort them based on distance , so now I have a list of movies recommendation start with the best till the end. Is it actually so easy ???? First I connected to Facebook using Oauth and REST so that I could get access to my friends and then the movies liked by my friends. 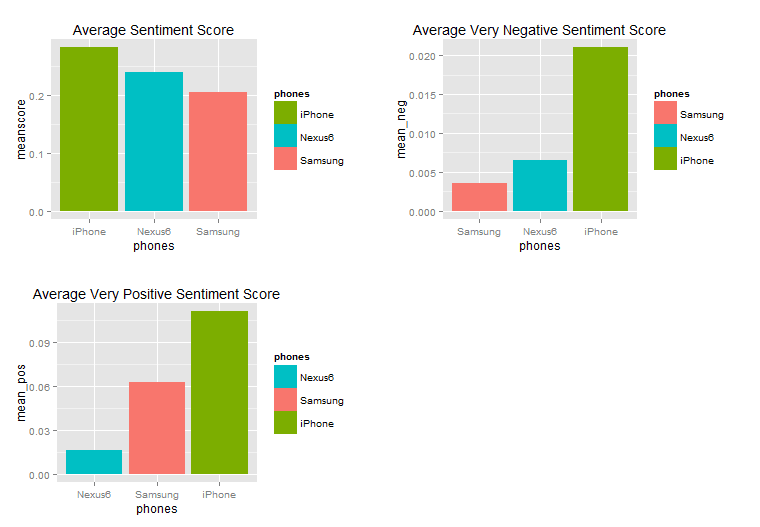 Heard lots about iPhone6 and now Nexus 6 , so finally I decided to try my first ever twitter analytic test using R and the objective is to find how people are talking about these phones. Well to honor Samsung , I added it too. 1. Its Very easy and R will make your life ultra easy. Python is as well great for the same but I will post about that sometime later. 2. To do quick analytic there is no point of running behind BigData , simply use less records and do the job. 3. Number of records does change the fate of your analytic , so its always good to run the same on large data volume so do this step once your bigdata setup is done and you already have experience working on casandra , spark etc. 4. To learn this you just need to know any technology and you must love technology, then learning R and do Rstats won't be trouble. 5. 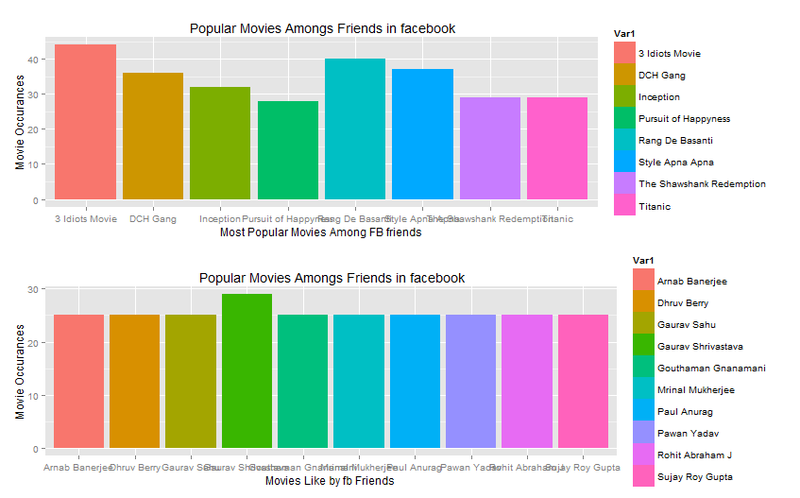 Some basic libraries like 'twitteR' , 'plyr' , 'stringr' and 'ggplot2' for twitter and statistics, do some basic hands-on on them and then roll. 6. If you are good in mathematics , that wonderful but you need not to be best in that, just basic school mathematics concepts are enough for starter..atleast what I felt. Again all these stats can change a lot if I try the same with more data. The source code with comments are already uploaded in my github RsourceFile, just explore ..